ARLINGTON, VA, USA, November 19, 2018 /EINPresswire.com/ -- Chris Ford, the Founder and Chief Executive Officer of the National Association of Veteran-Serving Organizations (NAVSO) announced his intention to pass the baton to a new Chief Executive Officer in 2019. Korn Ferry has been selected to begin the search for a successor. Chris will consult for NAVSO until a full time successor is named and Kelly Finn Störmer, the Chief Information Officer, will be named as Interim CEO on January 1, 2019. “We are very grateful for all that Chris has achieved in the five years he has been at the helm of NAVSO. The growth and all that the organization has accomplished in this time is credit to Chris and his exemplary leadership. From seeing the need for NAVSO, to recruiting his supportive team, to developing and executing on so many different innovations, the organizational progress has been truly extraordinary. 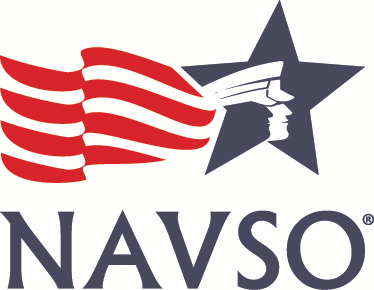 The Board is confident that a solid plan is in place to ensure continuity of operations until a successor is found and we look forward to supporting and seeing how NAVSO will continue to drive impact throughout the veteran nonprofit sector in the years to come,” says William Ahmanson, Chairman of the Board. “I am a social entrepreneur at heart and building NAVSO has been one of my life’s greatest accomplishments. NAVSO has never been in a better place and while there is always more work to be done, now is the perfect time for fresh perspectives and new ideas to catapult NAVSO into its next chapter. I look forward to working alongside my successor to support him or her in building the future of NAVSO and continuing to create efficiency in the veteran’s marketplace,” said Chris Ford, NAVSO Founder and CEO. Interested candidates should contact Michael Moore at Michael.Moore@KornFerry.com.